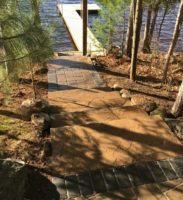 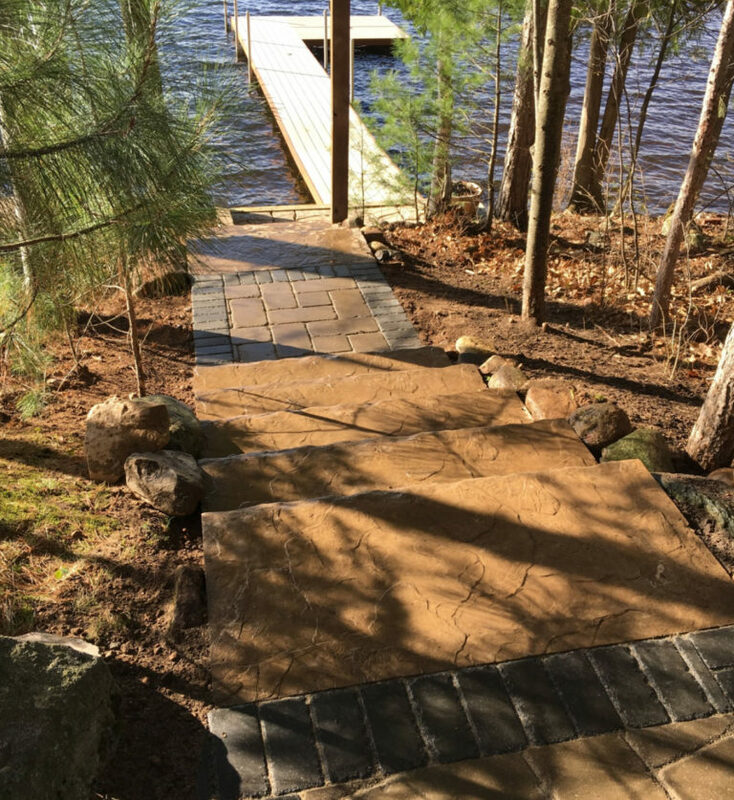 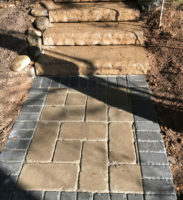 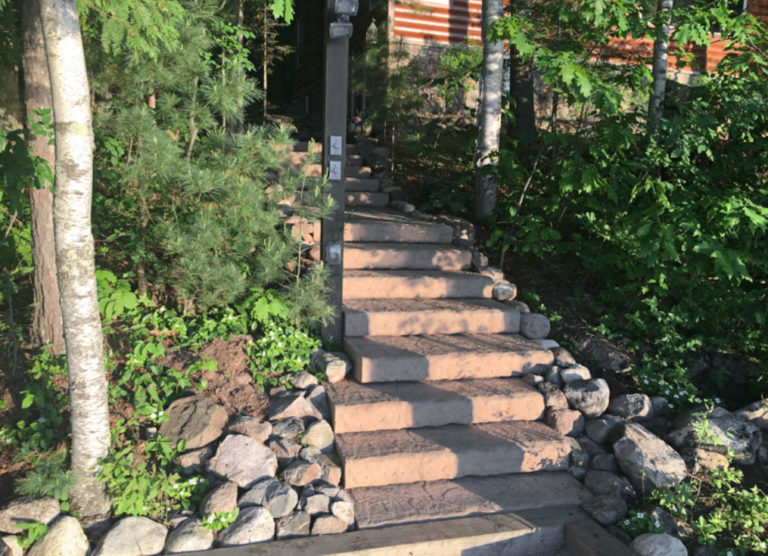 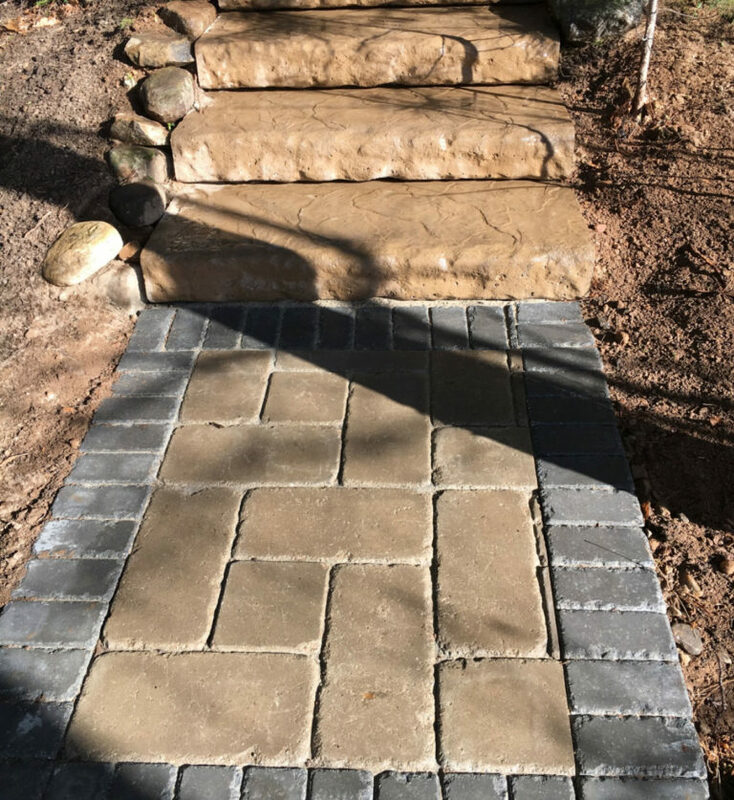 Reesmans provided a safe and accessible walkway from the house to the lake landing area. 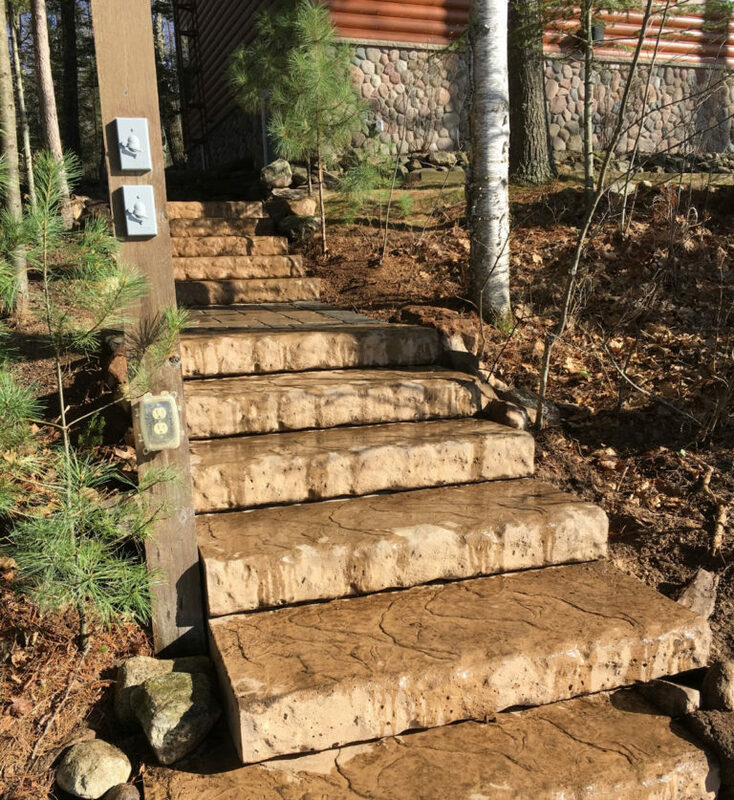 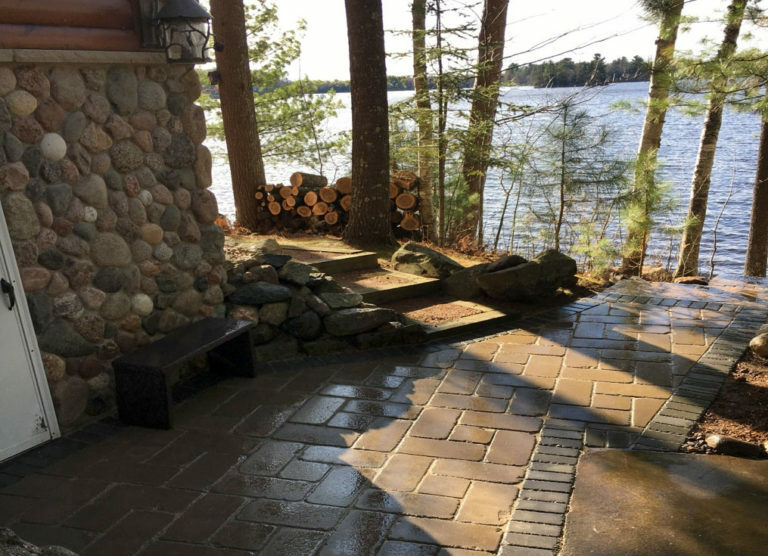 A natural stone look was used that blended in with the north woods surroundings. 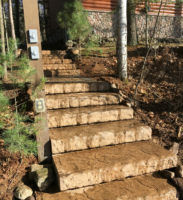 Railings and final planting pictures to be provided in the spring.